Suddenly, I feel deeply hungry. I don’t hear anyone in the house, so I walk woozily to the kitchen. Craig is there. He looks at me and seems surprised. I’m soaking wet and red from tears and sweat. I look at him and say, “I’m so hungry.” I sound weaker and more desperate than I’d planned. Craig’s eyes widen and he says, “Really? Let me make you something. Can I make you some real food?” Now his voice sounds excited, almost frantic. Craig goes to the refrigerator and I follow, and even though it is only eleven in the morning, we work side by side making cheeseburgers, baked potatoes, and salad. The smell of the burgers fills the kitchen and once, when I reach over, Craig touches my hand. I do not pull away. Not right away, at least. When we’re done preparing the meal, Craig takes my plate and fills it to the edges. We sit down at the table and Craig says grace: “Help our family please, Amen.” I look at my plate and feel overwhelmed. There are no directions here, no clear-cut boundaries, no single servings, no wrappers, no scoop to measure what is okay for me to have and what is too much. Nothing to protect me from my appetite. How will I know where to start or when to stop? I look over at Craig and see that he is already eating. How is this so easy for him? I look at my salad and think, I should start there, but then I see the burger and it suddenly seems imperative that I ignore the should of my mind and respond instead to the want of my body. I pick up my burger and sink my teeth into it. Some of it crumbles and a river of juices and ketchup runs down my hand. I don’t want to lose any of it, so I lick it off. Then I take another bite and chew and it feels like some sort of heaven; it feels like loving myself. And then the panicky feeling arises inside of me, but I tell myself to resist the urges to push the burger away or to swallow it whole. I can go slow and enjoy this. No one is going to take it from me. This plate is mine and I am allowed to have it all. I take another bite and sigh from the juicy joy. If I get too full, I can just be still. Fullness will pass, and I will survive. Then I notice Craig watching me. He is witnessing my hunger, my burger ecstasy. I feel ridiculous, guilty, like I’ve been caught breaking the rules. But Craig is smiling. There is no scorn in his eyes, just a mixture of joy and relief. He is looking at me like he’s wondering where I’ve been. I tell myself, It’s okay for a woman to hunger, Glennon. It’s okay for her to satisfy her appetite, to enjoy all the juiciness. Remember, don’t be a lady — be a Warrior. The Warrior feeds all three of her selves: mind, spirit, body. I breathe deeply and then start on the potatoes. Eat until you’re full. Trust your body to guide you. Treat yourself like someone you love, Glennon. Listen to what you want and need and give it to yourself. Be your own friend. 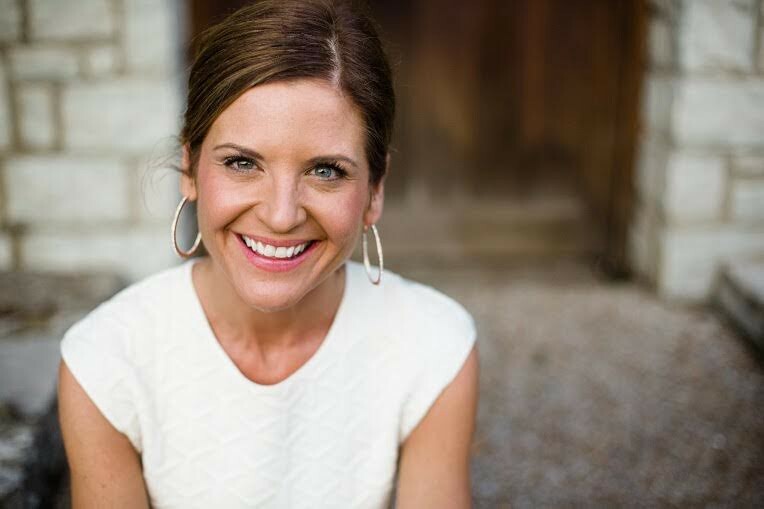 Glennon Doyle Melton is the #1 New York Times bestselling author of Love Warrior and Carry On, Warrior; an activist and a philanthropist. She is the creator of the online community Momastery, and founder and president of Together Rising, a non-profit that has raised five million dollars for women and children in crisis.